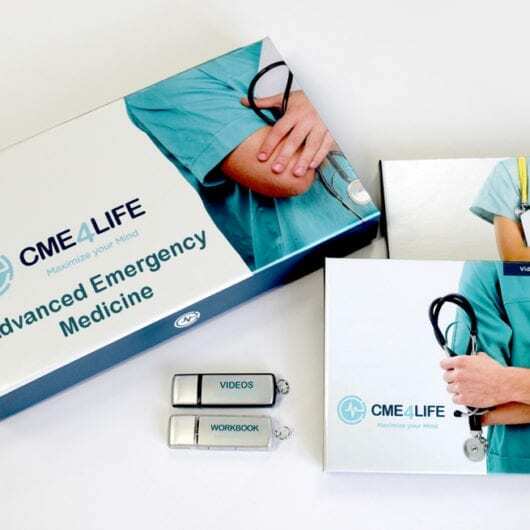 Receive five (5) American Medical Seminars, Inc.® Internal Medicine Modules bundled with an optional Amazon gift card. Each module is approved for 5 AMA PRA Category 1 Credits™ and includes access to download your Audio MP3 &/and Video MP4, stream them from your account portal, a PDF Digital Syllabus and access to Online Testing. With the hardcover option, receive the same features as the download products PLUS you will be sent the media files and PDF Syllabus on USB and storage case. Select your Media Type as either Download or Hardcover. Next, click “Add to Cart”. Once your order has been processed, you will be contacted by our team with your login/download information. Please allow 7 to 10 days for the Gift Card to be issued. Identify effective treatment strategies for diastolic heart failure while considering Clinical Trials such as OPTIMIZE HF, TOPCAT, PARAMOUNT, etc. Faculty: William T. Ayoub, M.D., F.A.C.P., F.A.C.R., John W. Pendleton, M.D., F.A.C.P., F.A.C.R. and Herbert L. Muncie, Jr., M.D. Identify the relative benefits and risks of nonopioid analgesics for Rheumatic conditions as noted by the American College of Rheumatology Recommendations. Faculty: Ryan J. Smith, M.D., Kenneth Kaye, M.D., F.A.C.P. and Stephen J. Gluckman, M.D., F.A.C.P., F.I.D.S.A. Interpret the clinical manifestations of H. pylori infection. Use the methods for testing for H. pylori infection. Compare and contrast viral hepatitides A through E. Similarities and differences will be stressed, particularly the risks of developing chronic infection and the complications of chronic infection. Distinguish the significant features of hepatitis A through E and interpret the various hepatitis serologies. Select appropriate patients for treatment. Established and new treatment options will be covered as per the CDC and USPSTF Guidelines. Select appropriate strategies and options for patients to prevent the acquisition of hepatitis. Faculty: Jeffrey Miller, M.D., M.B.A. and O. Fred Miller, III, M.D. Formulate treatment algorithms for common epidermal tumors as analyzed in Cochrane Systematic Reviews. Develop treatment algorithms for common vascular tumors. Distinguish skin findings and develop treatment algorithms for common subcutaneous tumors to diagnose common epidermal tumors. Distinguish between ischemic and neuropathic etiologies of diabetic foot ulcers. Treat neuropathic ulcers successfully with debridement and weight-off loading. Faculty: Michael A. Malone, M.D. and Gary H. Oberlender, M.D., F.A.C.P. Detect symptoms consistent with the diagnosis of dementia. Distinguish dementia from treatable conditions that have similar presentations. Construct a diagnostic plan utilizing EBM and Expert Guidelines. Differentiate the common Dementia syndromes and distinguish the characteristics between them. Use EBM to design a treatment plan for dementia. Develop a practical approach to assessment of the whole patient in a hospice setting. Formulate effective approaches to common physical symptoms in the terminally ill. Integrate effective clinical care of patients and their families in the last days of life based on current evidence-based literature, Guidelines and recommendations of the American Geriatrics Society and the National Hospice and Palliative Care Organization. Relate dementia as a terminal illness. Appraise and appreciate the limits of published trials studies on drug safety and efficacy for seniors. Assess the subtle but significant drug side effects in the elderly. Distinguish undesirable prescribing practices and employ better approaches based on current evidence-based referenced literature. Products will be shipped within 1-2 business days after payment is received for your purchase. All products are shipped via FedEx ground service. For specific details on the shipment of your product, please call our support team at (800) 263-6840.